WE REGARD OUR SUBCONTRACTORS AS AN EXTENSION OF THE MCDONALD YORK FAMILY. They are the backbone of our delivery approach, performing 85% of the work we manage. 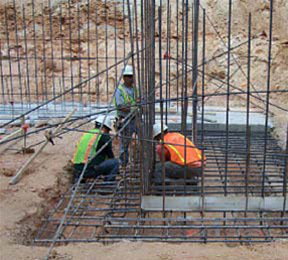 The foundation of our business has been built on the many relationships forged throughout the years with our subcontractors, vendors, and suppliers in the industry. We actively cultivate and enhance these relationships through mentorship and education about MYWay which helps to ensure quality and seamless project delivery. We assist our subcontractors and suppliers with our qualification process and address their needs and concerns. McDonald York's Subcontractor Management System (SMS) provides real-time information on hundreds of subcontractors across the Triangle. Subcontractors are required to submit financial, safety, insurance information and references using our online SMS portal. The SMS System allows our team to quickly and easily check that all subcontractor information is up to date. If you currently do not receive project notification and would like to be considered, please email Tyler Royster: TRoyster@mcdonaldyork.com for a Prequalification Packet.